A Mountain Home man who was added to the Baxter County Sheriff's Office Most Wanted list earlier this month has been arrested for taking money from customers of his roofing business and then not performing the work. 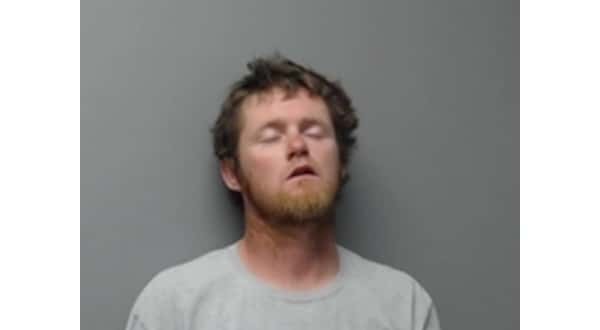 Twenty-nine-year-old John James Downing was apprehended Sunday and booked into the Baxter County Detention Center on several felony and misdemeanor charges. According to arrest affidavits in the case, Downing allegedly took money from two different customers of his business High Bridge Roofing and Construction for roofing work, which was never done. The first incident occurred in August when Downing was paid $1,700 to make roof repairs to a residence in Baxter County. The victim was told repeatedly by Downing the work would be done but it never was. The victim says Downing kept telling him the roof would be done soon but eventually he quit answering phone calls from the victim. A Mountain Home resident reported a similar incident to Mountain Home Police which occurred in October. The victim says he gave Downing a check for $4,700 for roofing work. The day after he paid Downing, the victim discovered the Mountain Home man had no insurance and his contractor's license was expired. He asked for Downing to return the check, but he did not return phone calls. The victim filed a report with police, and the the next day, Downing was arrested for trespassing. He was interviewed by police and agreed to bring a cashier's check the following day to repay the victim, but he never showed. Downing is charged with two felony counts of theft of property, along with a felony count of obtaining a signature by deception and two misdemeanor counts of failure to appear. Downing was arrested in August of last year on a felony theft of property charge after he allegedly took $2,250 from another customer for roofing work that was never done. That incident happened in May of last year.